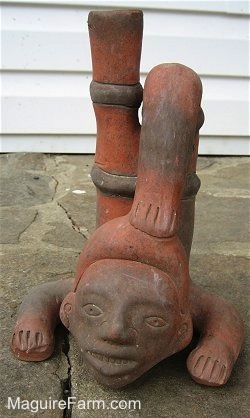 The bottle stands 10¼ inches high and is 12 inches around the base. The circumference of the gooseneck is 4½ inches around and narrows to 3½ inches at the top. The neck is 4½ inches tall. 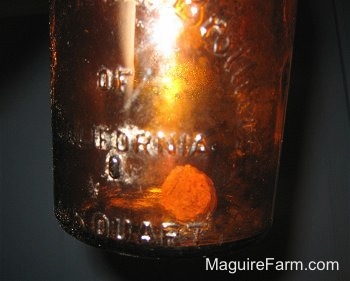 Amazingly enough, it still has the cork in it! 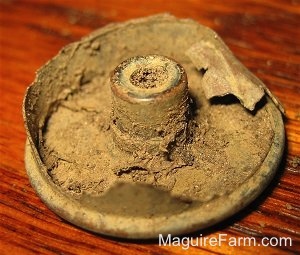 This little jar washed up from the ground in the stream that leaves the springhouse. 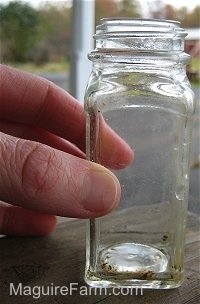 It had rained a lot, and part of the jar was sticking out of the dirt. When I dug it out I was pleased to see the jar was perfectly in tact, not a chip in it. 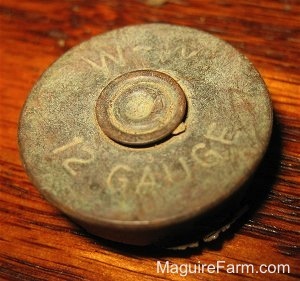 This is a shell of a 12 gage shot gun, found buried in the dirt near the barn. 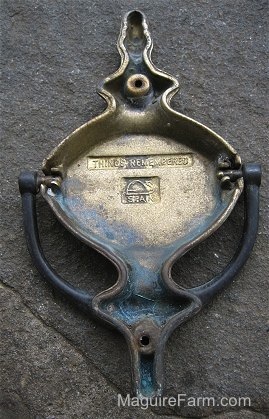 This door knocker was found in the woods. Most likely, someone dumped a door in the woods and this is what was left after the door rotted. 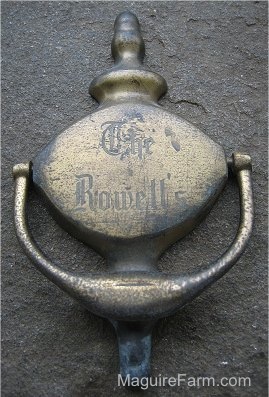 It says "The Rowell's" on the front and "Things Remembered" on the back. Does not appear to be all that old. This clay African man was here when we moved in. It's pretty unique, so we kept it on the porch.